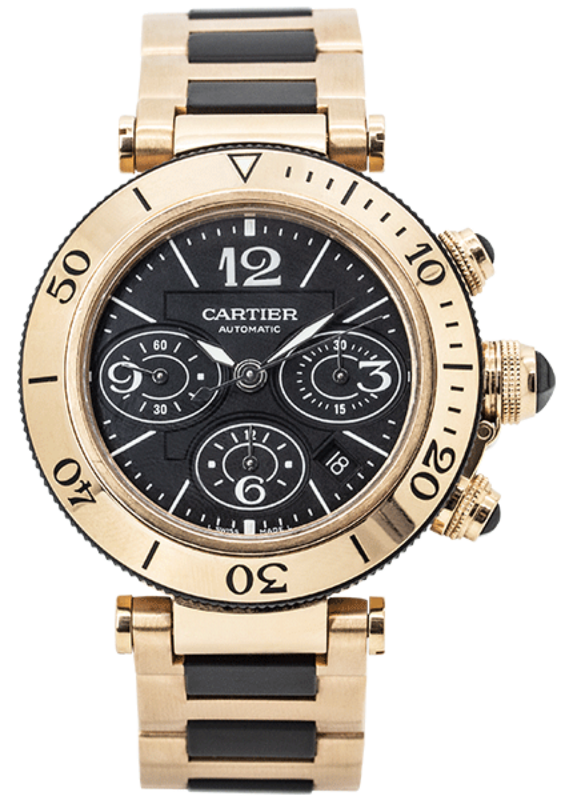 Cartier Pasha Seatimer Rose Gold 3066 W301980M. 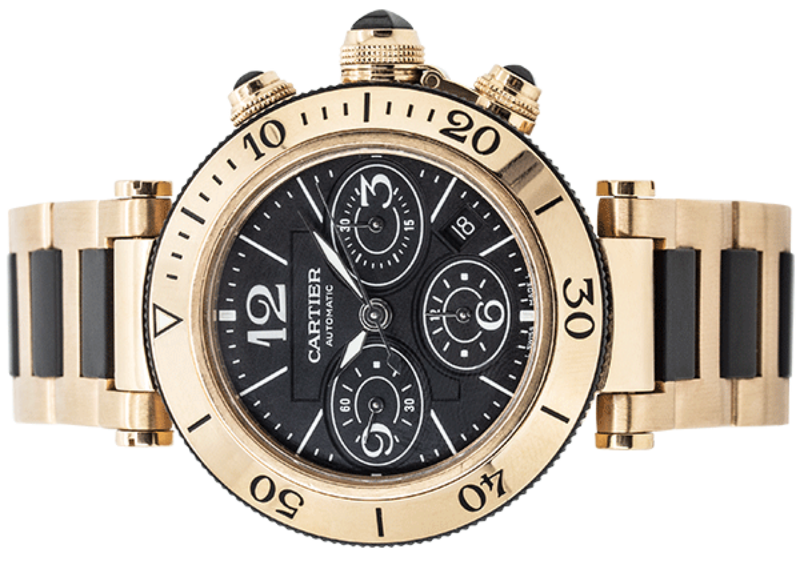 Pre-owned Cartier Pasha Seatimer Rose Gold 3066 W301980M. 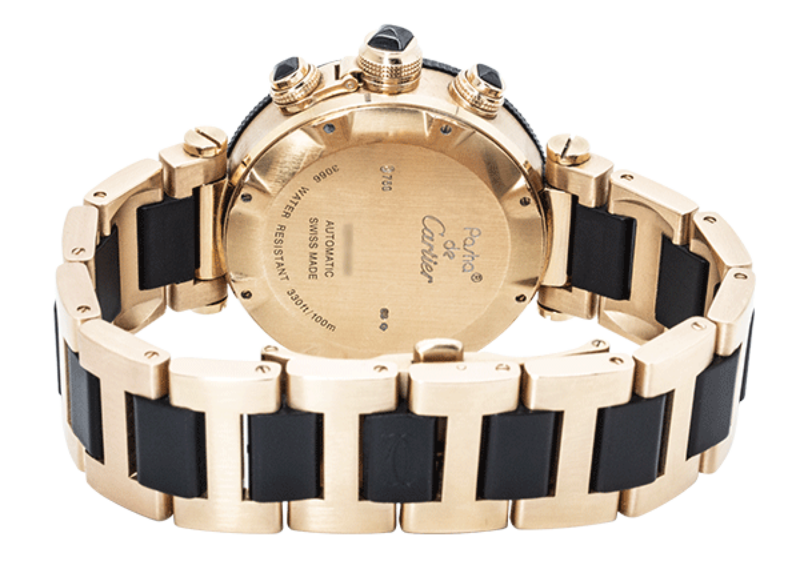 43mm 18ct yellow gold case, unidirectional rotatable bezel in yellow gold, black dial featuring a date indicator between 4 and 5 o'clock, automatic movement featuring chronograph function, on an 18ct yellow gold and black rubber bracelet.